In the fall of 2014, Mt. Airy CDC and its partners (East Mt. Airy Neighbors, West Mt. Airy Neighbors, Chew and Belfield Neighbors, the 6300 Alliance, and the Mt. Airy Business Improvement District) submitted a collaborative proposal to the Wells Fargo Regional Foundation for a Neighborhood Planning Grant. The group recognized that much of the work outlined in the 2004 Mt. Airy Neighborhood Plan: Opportunities, Challenges & Recommendations (PDF) plan had been accomplished, and that it was time to assess the needs of the neighborhood again. WFRF awarded the new planning grant in spring 2015 and the planning process kicked off soon thereafter. Dubbed Mt. Airy 2025, this plan includes a 10-year vision for the future of the neighborhood and implementation goals for the first five years. The plan identifies and prioritizes six neighborhood revitalization strategies and also provides cost estimates and a timetable for implementation. The Mt. Airy 2025 Study Area was determined in consultation with the WFRF, which recommends that neighborhood planning areas are compact to facilitate tracking of progress and outcomes after the plan starts being implemented. While the Study Area does not include all of Mt. Airy (map in Executive Summary and Full Report below), all residents of the entire neighborhood were welcome to participate in the planning process. See below for details. MTAIRY2025.ORG: Web site updated 2015-16 in real time during public planning process. Mt. 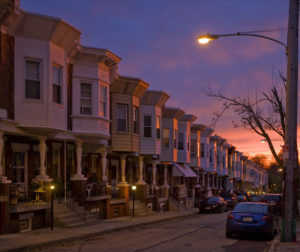 Airy 2025 was completed in advance of the Philadelphia City Planning Commission’s Upper Northwest District Plan, the 18th and final of the Commission’s district plans for the Philadelphia 2035 master plan. The Upper Northwest District Plan, led by planner Ian Hegarty, who sat on the 2025 Steering Committee, will begin in Fall 2017.